We measure your quality of vision at 20 feet-this is the numerator (top twenty). The denominator (bottom 400) is a comparison to someone with standard vision. 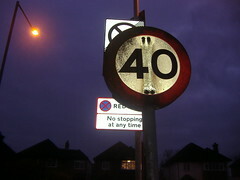 So if you have 20/400 vision you would have to be at 20 feet to see what one with standard vision would see at 400 feet. 20/400 does not correlate to your exact prescription, it is merely a measure of your vision without (hopefully) your eyeglasses or contact lenses on. Tired of your eyeglasses? Here are three contact lens options for presbyopia. Reaching the age of wisdom does not have to involve giving up wearing contact lenses. There are more contact lenses for presbyopia than ever before; so if you haven’t tried contacts in the past few years then you may consider trying them again. 1. The most popular bifocal soft lenses are all designed around a concept called simultaneous vision. This is where both the distance and near prescription is presented in front of the pupil at the same time. Your brain determines which part of the lens to pay attention to and which part to ignore. Bottom Line: Best overall satisfaction for maintaining “normal” vision. 2. If multifocal lenses aren’t for you then you can also consider monovision. Monovision is where your dominant eye is corrected for distance while your non dominant eye is corrected for near. Bottom Line: A good alternative if not successful with bifocal contact lenses. 3. Another option is correcting distance vision in contacts and relying on over the counter style reading glasses at near when needed. Bottom Line: Best for those that want the best possible vision at distance. Interested in learning more? Call to discuss your contact lens options with us today. Many patients suffer from contact lens complications that are easily avoidable. Here are some of the most common complications that contact lens wearers suffer from, and how you can avoid them. If you have ever fallen asleep in your contact lenses and woke up to blurred vision for a few hours then you have experienced corneal edema. Solution: Change contact lens material to increase oxygen transmission and have a good pair of back up eyeglasses to wear before bedtime to avoid forgetting to remove your contacts. Visible only by your eye doctor during your examination; it is caused by over wear of contacts. Either wearing your lenses for too many hours or by infrequent replacement of your contacts. Solution: Change contact lens material to increase oxygen transmission, back up eyeglasses to reduce wearing time, and replacing and caring for your contacts as recommended. More common in over night wearers, it presents with acute redness and irritation upon waking. Solution: Change contact lens material to increase oxygen transmission, back up eyeglasses to reduce wearing time, and replacing and caring for your contact as recommended. Cause by an allergic or mechanical reaction to the tarsal conjunctiva (under the upper eyelid). 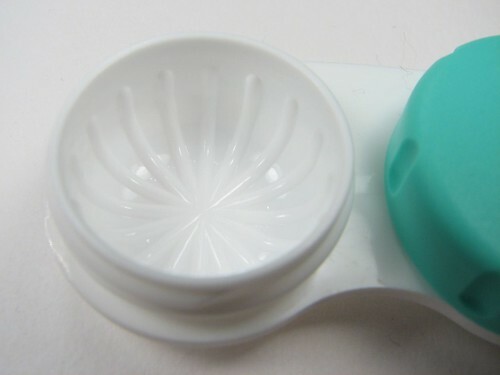 More common in over night wear, contact lens over wear, and those with allergies in general. Solution: Responds best to daily disposable contacts. Multiple factors can result in infection. The most common risk factors are over night contact lens wear, smoking, history of previous cornea scarring, and a past episode of contact lens related red eye or giant papillary conjunctivitis. To learn more about reducing your risk of contact lens related complications, schedule an appointment with us today.